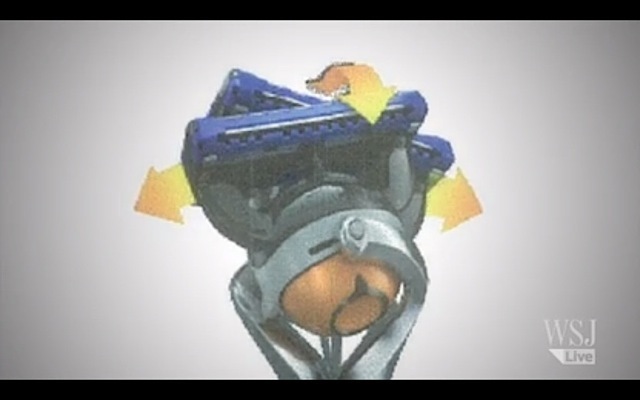 yes guys...you read that correctly...just saw this...coming in time for Fathers day 6/09/14 the NEW PROGLIDE FLEXBALL...similar to the Dyson Ball system...the head will rotate as well as flex....this will be a premium product...so dump of of your oldfashioned prized collectable razors ASAP...you will not want them anymore....just to help you out send them to me and I,ll store them in my Shave Cave at no charge....sorry shaver stores ...the end is near...Gillette is coming to the rescue and we are saved!!!!!!! Where did you see this? If we know where to look maybe we can find a picture to post. 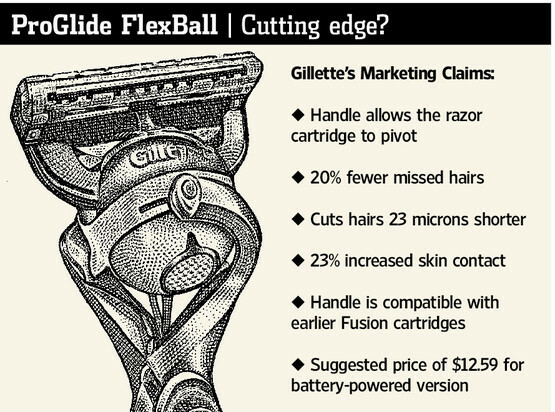 I wonder what Joe Public would do if Gillette rolled out a DE-razor with a fixed head... I'm sure there is some way to integrate the cap and blade into some form of cartridge, just to keep their revenue going. Another high tech solution to a non existent problem. Well done to Gillette. gillette revealing themselves in full. they must see all potential customers as morons. It looks more like a satellite orbiting! * Handle allows blade to pivot - why is this a good thing? I want my razor to go where I tell it to, not crosswise and slicing me open. It's a gimmick, although one that looks like an interesting piece of engineering; a small universal joint. * Compatible with earlier cartridges - I'll give them that one; it's actually a good idea and will make the buy-in easier for the consumers. Want to impress me Gillette? Release a line of DE razors again - fixed, adjustable, three-piece, TTO, anything. Match that up with decent quality soaps and creams - the kind that needs a brush. THEN I'll be mightily impressed. In one of the articles I read it said it would be available in both standard and battery powered. I'm placing my bets right now that I get one for Father's Day. My youngest son would do that just to see the expression on my face. I'm with you Hans. If Gillette want to impress me start producing those good old DE razors again, along with the good blades they use to produce in this country. Hans, as far as I am concerned, you covered all the bases. I'm very excited about this new razor, honestly! I can't wait to get the powered version, eventually I'll get the manual version too. Harvey was right but he meant to say ship your prized gillettes to me so I can guard them for you. Wrong comparison: the correct comparison is to a duck's reproductive organs. See: (comparison explained). For those who really must know more (I am worried about you): here are the canardic details. Some designer at Gillette must have played Basketball at one time and tried to merge his (or her) two great passions into one potential disaster!